Reconstruction of Chalicotherium, from here. The Chalicotheriidae are a group of perissodactyls known from the Eocene to Pleistocene of Eurasia and North America, with a limited record from Africa. 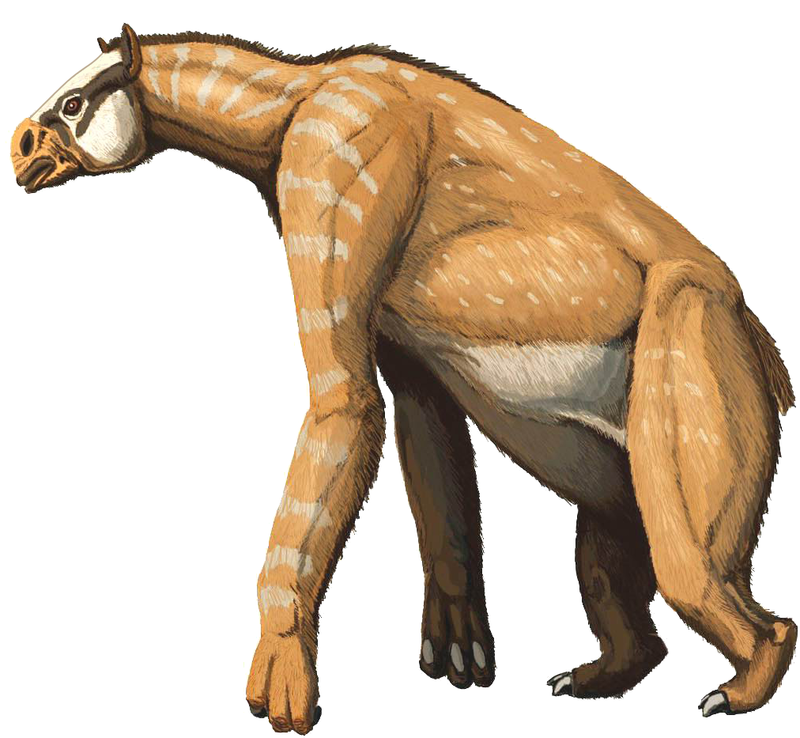 Members of this group possessed feet with large fissured claws rather than hooves and may have been upright browsers in the manner of gorillas or ground sloths. [B78] Butler, P. M. 1978. Chalicotheriidae. In: Maglio, V. J., & H. B. S. Cooke (eds) Evolution of African Mammals pp. 368–370. Harvard University Press: Cambridge (Massachusetts). [C75] Coombs, M. C. 1975. Sexual dimorphism in chalicotheres (Mammalia, Perissodactyla). Systematic Zoology 24 (1): 55–62.